If you&apos;ve got dry skin, sensitive skin, or skin that always feels tight after cleansing, then you may want to switch to a cream cleanser. Also known as cleansing cream, this type of formula is both gentler and more hydrating than other kinds of face wash, like foams and gels. That&apos;s because these cleansers have a creamy texture, which doesn&apos;t produce a lather. 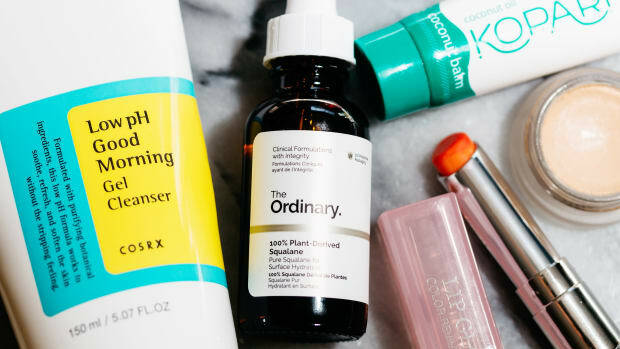 Not only do they clean the skin without throwing off its pH or stripping its protective barrier, but they also deposit moisturizing ingredients. But not all cream cleansers are made equal! Here&apos;s what I look for, plus the best products I&apos;ve found to date. 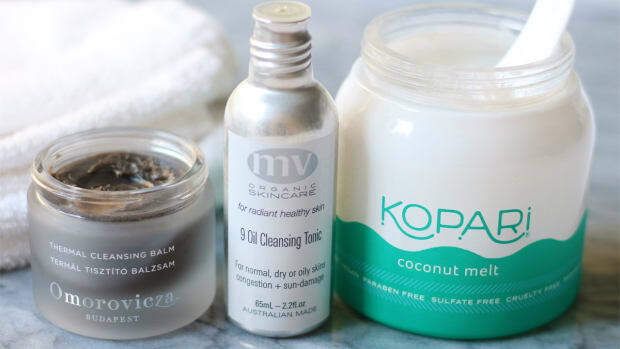 Cream cleansers from Omorovicza, MV Organic Skincare, Burt&apos;s Bees and Dr Roebuck&apos;s.
Sulfate-free: Sulfates are harsh detergents that are too stripping and irritating for a cream cleanser... or ANY cleanser, for that matter! Look for products with gentler surfactants, such as sodium cocoyl isethionate and cocamidopropyl betaine, or no surfactants at all. Silicone-free: Silicones are synthetic smoothing agents that leave an occlusive film on the skin surface that can be difficult to remove (and clogs pores!). For that reason, I don&apos;t think they belong in a cleanser. Petroleum-free: Usually listed as mineral oil, petroleum derivatives are also very occlusive and don&apos;t absorb. Dr. Ava Shamban even asserts that mineral oil can damage the skin barrier and cause water loss. 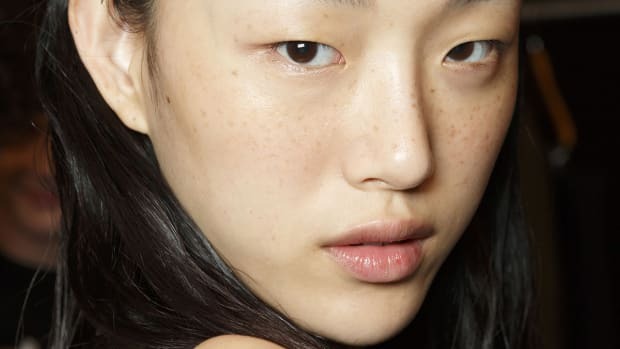 Hydrating ingredients: Instead of silicones and mineral oil, cream cleansers should include emollients and humectants to bring moisture to the skin. Think: glycerin, squalane, coconut oil, fatty alcohols, shea butter, etc. PUFA-free or low-PUFA: PUFA stands for polyunsaturated fatty acids, which are unstable plant oils that quickly oxidize. Since you don&apos;t want to rub rancid ingredients over your skin, choose stable oils or an oil-free formulation. 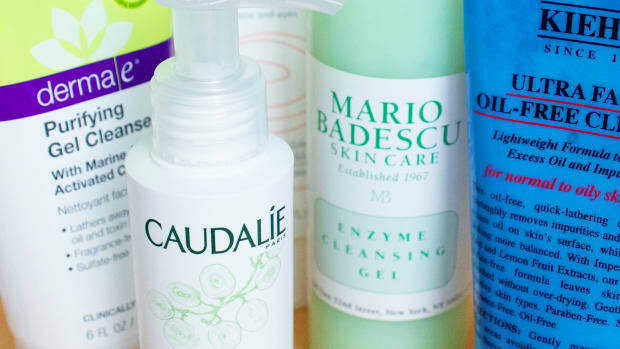 If you must use PUFAs in your cleanser, keep the product in the fridge and use it up within two months. 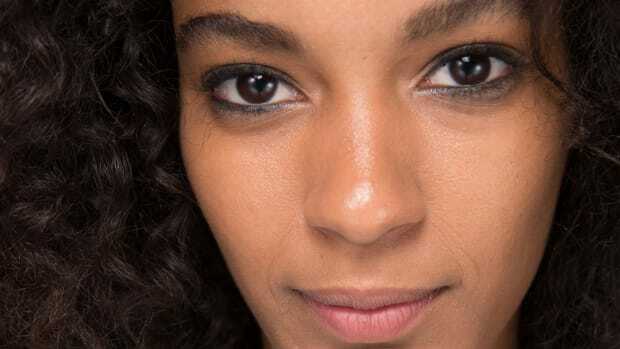 Fragrance-free or low-fragrance: In a cleanser, fragrance isn&apos;t as problematic as it would be in a leave-on product (like moisturizer), but it&apos;s still best to limit your exposure if possible. Fragrance is the number one irritant in skincare. I&apos;ve also noted the paraben content and cruelty-free status of each product below. Note: Some cream cleansers rinse clean with just water, while others require more careful removal. So make sure to check out my cleansing cream tutorial for tips on how to use them the right way! Dr Roebuck&apos;s Noosa Nourishing Creme Cleanser is one of my favourites—a lightweight cream cleanser that would work for ALL skin. It&apos;s made with mostly natural ingredients, including jojoba and macadamia oils, and is free of fragrance except for a little bergamot oil (which gives it a lemony scent). In my testing, I found that it rinsed clean with just water. Naturally Serious Major Moisture Gentle Cream Cleanser is a recent arrival to Sephora&apos;s clean beauty department, and it&apos;s formulated with "no B.A.D. ingredients"—meaning bad, ambiguous or debatable! You&apos;ll find coconut oil and a coconut-based surfactant in here, along with several plant extracts and antimicrobial probiotics. Arcona Four O&apos;Clock Flower Gentle Cleansing Cream is formulated for all skin, especially reactive skin. It&apos;s named for the Mirabilis jalapa flower, which helps calm and take down redness. The two types of clay will draw out impurities, while hyaluronic acid and seaweed will deliver hydration. Beautycounter Nourishing Cream Cleanser is one of the brand&apos;s bestsellers. It has a light texture and can be applied to wet or dry skin, rinsing away easily with water. You&apos;ll find a mix of gentle surfactants, fatty alcohols and aloe vera in this formula. SkinCeuticals Gentle Cleanser is especially suitable for "post-procedure" skin—after lasers, chemical peels, microdermabrasion, IPL or injectables. It contains three percent allantoin, glycerin and orange peel oil, which are softening, soothing and hydrating. You can also use it to remove stubborn long-wear makeup. Pai Camellia & Rose Gentle Hydrating Cleanser is one of the mildest cleansers you&apos;ll find, perfect for sensitive skin and eczema. It is completely free of detergents, and instead is high in camellia oil, castor oil, glycerin and shea butter. So you&apos;ll want to use a warm, wet cloth to remove it properly—and it just so happens to come with one! The muslin side is for gentle exfoliation, and the other side is a soft terry flannel. Kypris Cleanser Concentrate is a unique concentrated cream cleanser that comes in a pot. A little goes a long way—all you need is a pearl-sized drop on dry skin. Then, by adding a few drops of water, it emulsifies into a milk. Like all Kypris products, it&apos;s loaded with plant extracts and oils. Omorovicza Moor Cream Cleanser is not just for dry skin; it&apos;s also for oily, acne-prone and combination types. The star ingredient is a mineral-rich Hungarian Moor mud, which has both purifying and nourishing benefits. 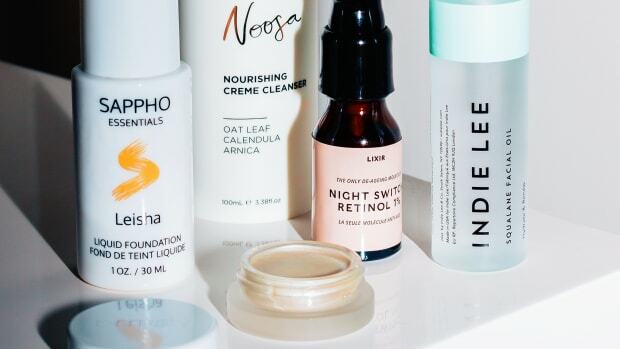 Plus it has zinc oxide, which may balance sebum production to help pores look smaller. I love this for a morning cleanse, or a second cleanse in the evening (after first removing makeup). Kora Organics Cream Cleanser is specifically made for normal to dry complexions. Miranda Kerr says it&apos;s her go-to cleanser for removing heavy makeup at the end of the day, without drying out her skin. I love that the base is aloe vera (not water), and it&apos;s high in glycerin and macadamia oil. Kora Organics Gentle Cleanser is a richer cream cleanser designed for sensitive skin. It, too, is high in aloe, glycerin and macadamia oil, but with a more soothing blend of plant extracts and fewer essential oils. Miranda says she uses this one after travel or sun exposure. Burt&apos;s Bees Brightening Daily Facial Cleanser is my favourite drugstore option. (They actually sell another cream cleanser, the Intense Hydration Cream Cleanser, but it&apos;s too high in fragrance!) This is a 98.7 percent natural, olive oil-based cream that does a good job of cleansing and rinses clean with water. 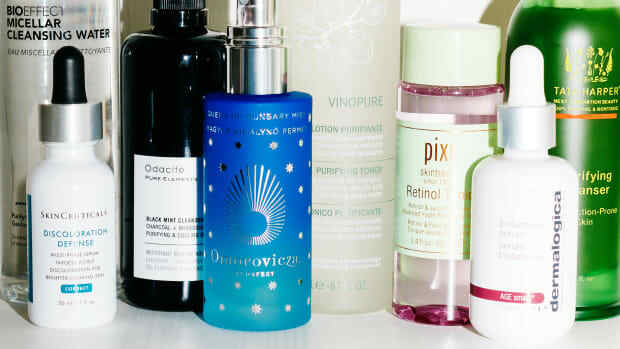 If you wear a lot of makeup, you may want to precede it with a makeup remover at night. Blume Daydreamer Super Gentle Face Wash is from a new company specializing in chemical-free feminine hygiene products and self-care items. This cleanser is in fact one of the most natural formulations I&apos;ve seen, and features olive oil, coconut oil, Moor mud and glycerin. MV Organic Skincare Gentle Cream Cleanser feels so good, you almost want to leave it on as moisturizer (but please don&apos;t!). Rich in camellia, olive and coconut oils, it is nourishing and gentle for dry and sensitive skin, but also lightweight enough for oilier folks. They recommend that you remove it with a warm, wet cloth. Aurelia Probiotic Skincare Miracle Cleanser is an award-winning creamy cleanser that takes off makeup and cleans your skin—you just need to use it in conjunction with a soft muslin cloth. It is quite aromatic, and boasts an all-natural ingredients list (including shea butter, cocoa butter and plant essences). This one can be used on all skin types. Peet Rivko Gentle Cleanser is completely fragrance-free, so there are no synthetic perfumes or even essential oils in here. It&apos;s from a new natural skincare line that&apos;s geared at sensitive skin in particular (but can be used on all skin, of course). The ingredients list is super short and includes glycerin, green tea and aloe vera. Honua Hawaiian Skincare Pa&apos;akai Cleansing Cream is packed with tropical ingredients sourced sustainably from farms in Hawaii, such as local sea salt, seaweed, comfrey and hibiscus. (The latter is what gives it the pink colour!) It&apos;s suitable for all skin and can even be left on for 15 minutes as a mask. Puremay Soft Velvet Cleanser is your best bet if you&apos;re looking for a K-beauty option with clean ingredients. This is an unusual cream-to-foam formula that produces a rich lather thanks to its mix of gentle surfactants and plant oils. Since it&apos;s pH-balanced, it won&apos;t strip the skin. 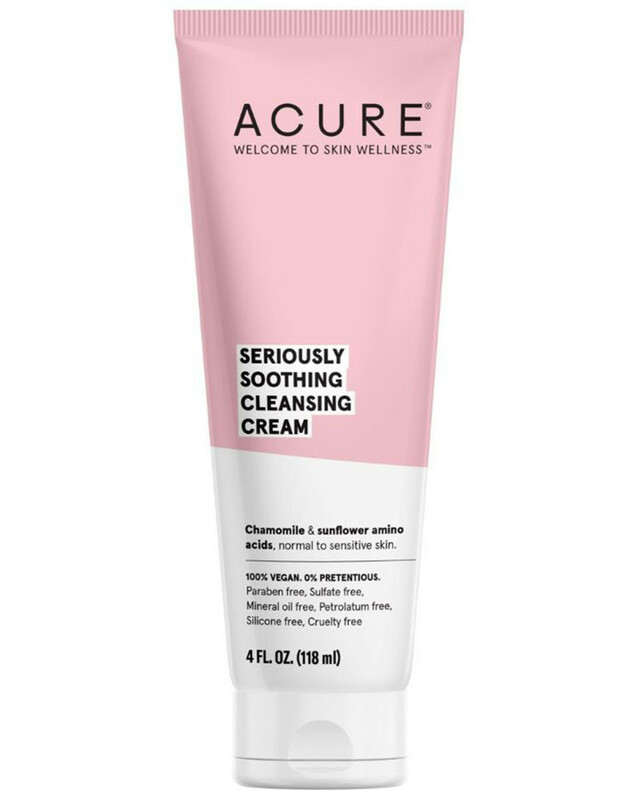 Acure Seriously Soothing Cleansing Cream is very affordably priced, and formulated with gentle, non-toxic surfactants. It also contains hydrating and soothing ingredients like chamomile, calendula and coconut oil. Despite the creamy texture, it is said to rinse off easily with just water. 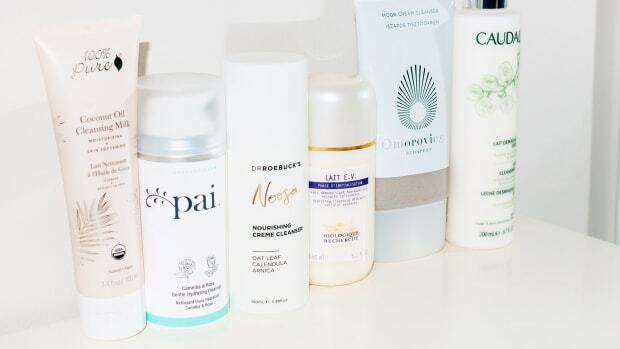 Do you use cream cleanser?